All framed pictures are created by hand in our workshop by specialist framers. 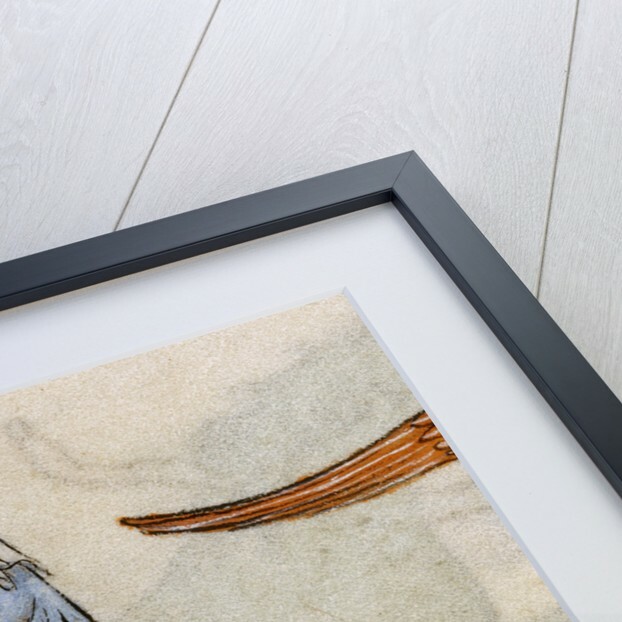 Frames have a smooth satin finish, and measure 20mm (front face) by 23mm (depth from wall). Luxurious 400gsm artist-grade canvas with a subtle textured finish, reproducing image detail with outstanding clarity and precision. 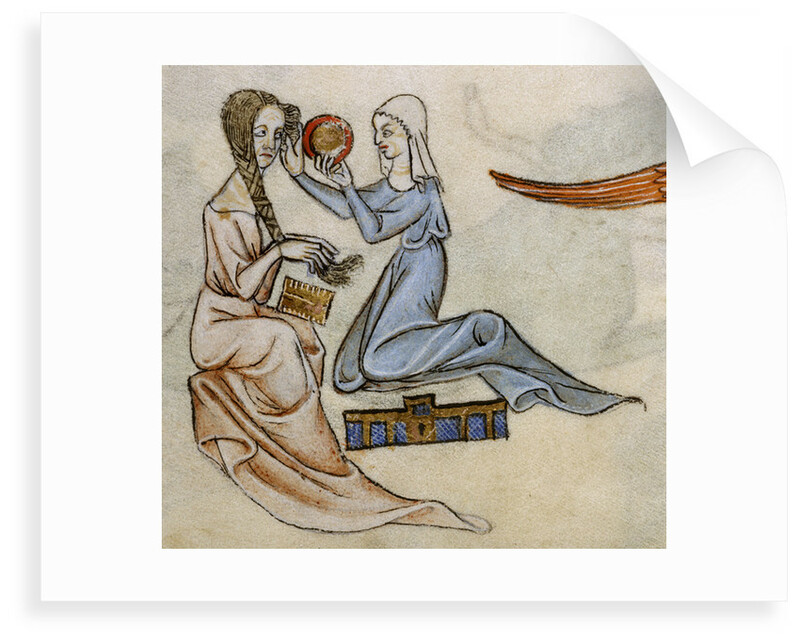 An image of a lady being tended to by her maid, from the margin of a page in the Luttrell Psalter, c. 1325-1335. 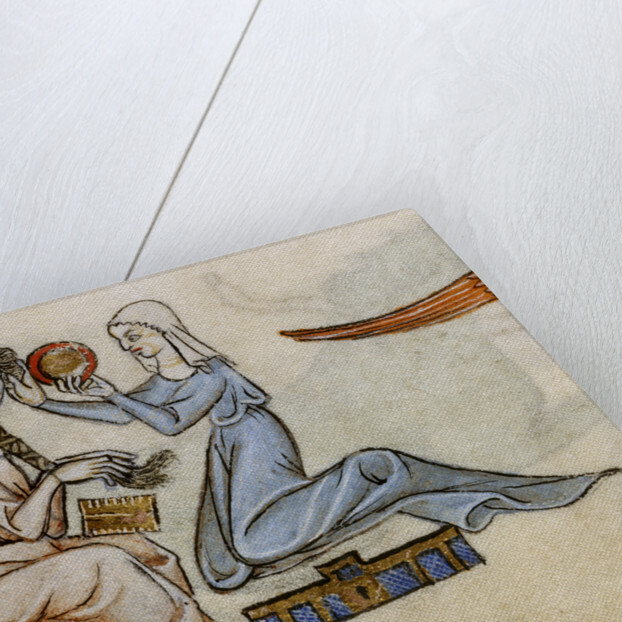 Explore the collection Treasures of the British Library. 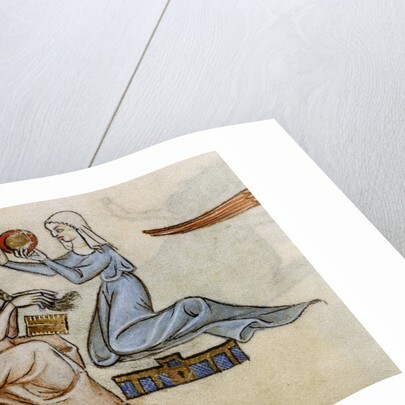 Copyright © 2019 British Library Prints.